The second edition of the new sporting rivalry established in 2015 was played from 1-7 August 2016 with the Anandpur Sahib Blues Polo Team visiting the historic Oak Brook Polo Cup for the International Day Polo Cup (which was last played by the British polo team led by Prince Charles of the UK). The International match was enthusiastically watched by the NRI community of the greater Chicago area and streamed live into millions of homes by Chukker TV. 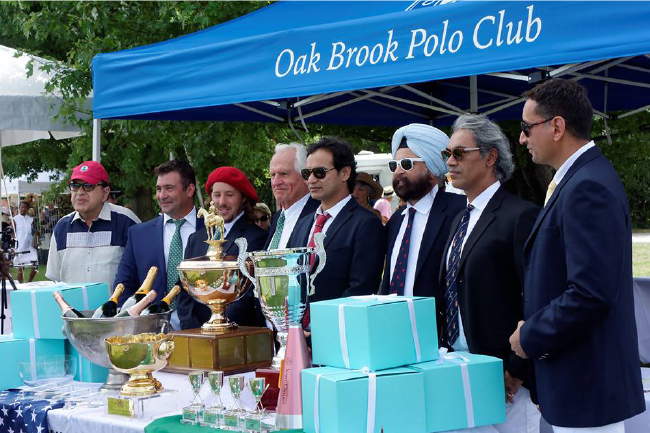 Please watch a video showing the annual Oak Brook Polo activities including the India fixture. Oak Brook Polo Club which was the premier center of Polo in the world in its hey day, has prompted its revival by reestablishing a series with Indian Polo. Since it was India where modern polo was founded and spread all around the globe during the British raj.